PLEASE READ THIS INFORMATION CAREFULLY. YOUR USE OF THIS WEBSITE CONSTITUTES YOUR AGREEMENT TO THE FOLLOWING TERMS AND CONDITIONS. USING THE SERVICES PROVIDED BY (OptionRadio.com). All references to (OptionRadio.com) shall include the owner of (OptionRadio.com), and any affiliates, subsidiaries, officers and employees of (OptionRadio.com), or its owner. All references to "you" and "your" shall mean the subscriber. ACCEPTANCE BY (OptionRadio.com) AND ACCESS TO (OptionRadio.com) IS EXPRESSLY CONDITIONED UPON YOUR ASSENT TO ALL OF THE TERMS AND CONDITIONS OF THIS AGREEMENT, TO THE EXCLUSION OF ALL OTHER TERMS; IF THESE TERMS AND CONDITIONS ARE CONSIDERED AN OFFER BY (OptionRadio.com), ACCEPTANCE IS EXPRESSLY LIMITED TO THESE TERMS. By signing up for our 7-day trial, your credit card will automatically be charged the chosen subscription rate after your trial period has ended. Each member is only allowed one trial of our services. Once your 7-day trial has expired; and if you do not wish to continue beyond the 7-days; it is your responsibility to email or call us and let us know that you would like to cancel . You must cancel the day before your renewal to escape any charges placed on your account. If you cancel the day of your renewal, you will need to contact us in order to void the transaction, but you will see it will automatically deduct on the date of your renewal. We honor all cancellation requests made before or 1 day after the trial period has ended. If you choose to continue, payment for the appropriate services will be made by automatic credit card debit. Once you are an active member, your account will be renewed automatically each month, semi-annually or annually depending on what subscription package you have chosen. Unless and until this agreement is canceled by email or phone, you are authorizing OptionRadio.com to charge your credit card to pay for the ongoing cost of membership and site operations. There are no contracts or time obligations associated with our month-to- month service; however, if you choose the semi-annual or annual subsciption, then your subscription is non-cancelable until your renewal date comes up and no refunds will be issued. If you continue to log into or use the members area of OptionRadio.com after you have cancelled, we reserve the right to charge your account for services rendered. The 7-day trial period will give you access to our Members "Current Plays" area of the website where you can enjoy the benefits of trade ideas we post. 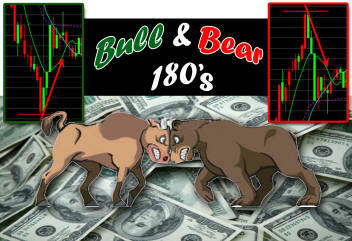 Once you become a paid member, you will gain access to our proven copyrighted proprietary training strategies: Bull/Bear 180's, Day Trading, Risk Free Trading and Hit Options Lotto; however, you currently get free access to several training strategies in our training section of the website. We do not give pro-rated refunds after the applicable cancellation request has expired. If you have already participated in a free trial for any term within this service, you are ineligible to receive an additional free trial. Our records will verify that you have already received a free trial, and your credit card will be billed immediately and automatically. From time to time some very discounted offers are non-refundable. Please read the promotion carefully. OptionRadio.com publishes a regularly scheduled newsletter which is delivered by either email or posting on areas of the World Wide Web which can be password protected areas. The newsletter provides commentary and information on stocks, bonds, other securities, options and the financial markets in general. By subscribing to OptionRadio.com, you agree to provide complete and accurate registration information, including, without limitation, your legal name, address, email address and telephone number. You agree to maintain and update this information as necessary to keep it true, accurate and complete. OptionRadio.com reserves the right to terminate the subscriber's subscription or limit access to the services if the information is false or inaccurate. All subscription fees will be charged to the credit card provided by the subscriber. The charges will appear on the credit card statement under the name OptionRadio.com. Payment for a subscription is due in advance and will be charged to the subscriber's credit card prior to the period selected. Renewal of your subscription is automatic. The renewal of your subscription will continue and your credit card charged until you cancel your subscription prior to the beginning of the automatically renewed subscription period as provided below. OptionRadio.com reserves the right to change the rates for the subscription at any time following 30 days notice by email to the subscriber. The subscription rate change shall apply to all subsequent billings following the 30-day notice period. If the company issuing the credit card rejects the charge for any reason, OptionRadio.com reserves the right to terminate your subscription and your access to OptionRadio.com. To access OptionRadio.com you you be issued a user name and password. OptionRadio.com reserves the right to reject any User Name or Password if OptionRadio.com believes, in its sole discretion, that the User Name or Password is vulgar, offensive, illegal, a trademark infringement, an attempt to impersonate someone else, or intended to cause confusion. You agree that you have no right to transfer or assign the User Name or Password, and that you are solely responsible for maintaining confidentiality of the User Name and Password. If you believe that your User Name or Password is no longer secure, you agree to promptly notify OptionRadio.com and change your User Name and Password. By subscribing to the OptionRadio.com Newsletter you agree to keep your username and password private. Sharing username and passwords to access the OptionRadio.com website is grounds for termination of your membership. You agree that you shall use the access granted to OptionRadio.com and any emails received from OptionRadio.com, its agents or assigns, for your personal and non-commercial use only. You may not modify, copy, distribute, transmit, display, reproduce, publish, license, create derivative works from, transfer, or sell any information, material or services obtained from the OptionRadio.com or the emails sent by OptionRadio.com. You acknowledge that you have read, understand and agree to the terms of the Disclaimer and the Privacy Statement posted on OptionRadio.com, which are incorporated herein by reference, as if set forth and restated in their entirety. You agree not to permit anyone whose subscription was terminated to access the site with your User Name and Password, or to provide your User Name and Password for the purpose of accessing OptionRadio.com. All materials displayed or performed on the OptionRadio.com, or in emails sent by OptionRadio.com, (including, but not limited to text, graphics, news articles, photographs, images, illustrations, audio clips and video clips, also known as the "Content") are protected by copyright, and owned or controlled by OptionRadio.com or its third party content providers. You agree to abide by all copyright notices, information, and restrictions contained in any Content accessed through the Services. OptionRadio.com is protected by copyright as a collective work and/or compilation, pursuant to U.S. copyright laws, international conventions, and other copyright laws. You may not modify, publish, transmit, participate in the transfer or sale of, reproduce (except as permitted in this Agreement for the use of Services), create derivative works based on, distribute, perform, display, or in any way exploit, any of the Content, software, materials, or Services in whole or in part. You may download or copy the Content, and other items displayed on, or distributed by OptionRadio.com, for download, for personal use only, provided that you maintain all copyright and other notices contained in such Content. You will not store any significant portion of any Content in any form. Copying or storing of any Content for other than personal, noncommercial use is expressly prohibited without prior written permission from OptionRadio.com, or from the copyright holder identified in such Content's copyright notice. You understand that parts of the Content, as well as software tools and portions of the Services available on the Site may be provided by third party content providers and suppliers. You acknowledge that neither (OptionRadio.com) nor such third party providers and suppliers guarantee the accuracy, completeness or timeliness of such information and you therefore agree that (OptionRadio.com) and its third party providers and suppliers shall have no liability for any loss you may suffer through your use of such materials or resulting from any errors, omissions or delays related thereto. By accepting this agreement, you expressly accept the terms of the user agreement for the third party providers, as set forth in Exhibit A. See individual third party agreements for specific guidelines on third party content (see Exhibit A). The subscription to OptionRadio.com is only intended for citizens and residents of the United States of America, currently residing there. OptionRadio.com makes no representation that the Services provided are appropriate for other geographical locations or jurisdictions. OptionRadio.com reserves the right to limit availability of the site and services to any person, geographic area or jurisdiction. This Agreement is void where prohibited by law, and the right to access OptionRadio.com is revoked in such jurisdictions. You also agree that you will comply with any local laws or regulations that may apply to your use of OptionRadio.com, or any emails sent by OptionRadio.com, including, without limitation, any laws requiring registration or filings with local authorities, and the payment of any taxes. You will indemnify and hold OptionRadio.com, its parents, subsidiaries, affiliates, officers and employees, harmless, including costs and attorneys' fees, from (i) any claims of liability or responsibility for any use or misuse of the Services as selected or as applied by you, (ii) any claim or demand made by any third party due to or arising out of your access to the Site, use of the Services, the violation of this Agreement by you, or the infringement by you, or any third party using your (OptionRadio.com) User ID and password, of any intellectual property or other right of any person or entity. You agree that from time to time OptionRadio.com may be inaccessible or inoperable for any reason, including, without limitation: (i) equipment malfunctions; (ii) periodic maintenance procedures or repairs which OptionRadio.com may undertake from time to time; or (iii) causes beyond the control of OptionRadio.com or which are not reasonably foreseeable by OptionRadio.com. OptionRadio.com may change, suspend or discontinue the Services at any time, including the availability of any feature, database, or content. OptionRadio.com may also impose limits on certain features and services or restrict your access to parts or all of the Services without notice or liability. The OptionRadio.com Newsletter and the OptionRadio.com website have constantly grown over the last fourteen years because of our focus on investor education. The wealth of knowledge presented and trading information provided and taught can be a benefit for OR readers for years to come. This dynamic format and life-long value of the information provided has required us to make all subscriptions non-refundable. You can continue to receive the daily information until the end of your subscription term or discontinue it at any time, but the subscription price is non-refundable. Subscribers should note that we are not responsible for non-delivery to your email address due to changes in the address, service outages from your ISP or delays in any form. All the information presented in the email version is available on the OptionRadio.com website for subscribers at all times. It is the subscriber's responsibility to keep OR informed of your email address changes and any developments that might prevent your address from receiving the newsletters for the length of your subscription. At any time, and without cause, membership to the service may be terminated by either OptionRadio.com, the site, or the member. When the member requests the termination, membership fees are NOT refunded. Members are liable for charges incurred by them until termination of service. When the member requests the termination, subscription fees are NOT refundable. Should a refund be issued by OptionRadio.com, all refunds will be credited solely to the payment method used in the original transaction. OptionRadio.com will not issue refunds by cash, check, or to another credit card or payment mechanism. All sales are final. (OptionRadio.com) reserves the right, at its discretion, to modify this Agreement at any time by posting a notice on the Site, or by sending you a notice via e-mail. You are responsible for reviewing and becoming familiar with any such modifications. Your use of the Services following such notification constitutes your acceptance of the terms and conditions of this Agreement as modified. Law. This Agreement shall be governed by the laws of the state of Nevada and the United States of America without reference to conflicts of laws. Waiver and Severability. No failure or delay in exercising or enforcing any right or remedy hereunder by OptionRadio.com shall constitute a waiver of any other right or remedy, or future exercise thereof. If any provision of this Agreement is determined to be invalid under any applicable statute or rule of law, it is to that extent to be deemed omitted, and the balance of the Agreement shall remain enforceable. OptionRadio.com may use third party tools, data and content from time to time throughout the website and newsletter. We make no warranties regarding the accuracy and timeliness of the data presented and is presented on an "as is" basis. Any quotes available on the OptionRadio.com website are 15 to 20 minutes delayed. OptionRadio.com's Live Chat Room is a premium service and are above and beyond the price of the normal monthly subscription. How the content is delivered to the Live Chat Room subscriber can vary. 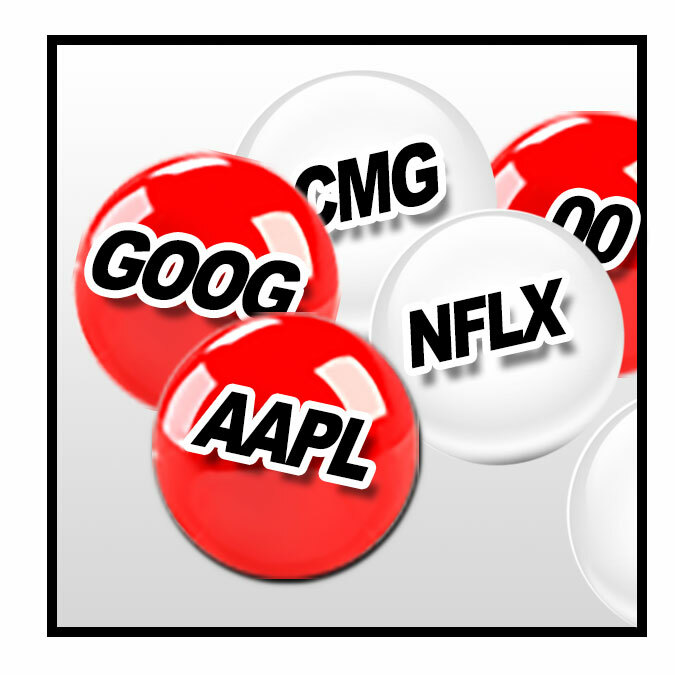 OptionRadio.com uses third party vendors and/or an HTML version for web-based viewing as well as a desktop application. OptionRadio.com is not responsible for any damages or damages per the Indemnification clause above in regards to the download, set up, operation or termination of the Market Monitor executable. Which ever method that a subscriber can access the Market Monitor content is based solely on the subscriber's computer platform and system requirements. Any Market Monitor executable is delivered "as is" and without warranty of any kind.